We believe in the power of business to elevate humanity. Together, let’s co-create conscious business for the greater good. The world is changing rapidly. ‘Business as usual’ must change too. We know that business has the power to lead humanity through purpose. But how? We know that people are at the center of the world’s most innovative, game changing and dynamic companies. But how do we serve people better? We know that the world expects business to think beyond profit and make an impact with a higher purpose. But how do we make that work in practice? Enter Conscious Capitalism. We are the Australia & New Zealand Chapter. Conscious Capitalism is a global movement, originating in USA, that now has spread throughout many countries around the world. Learn more about the four pillars of Conscious Capitalism. Australia was the first chapter to launch globally. We have recently evolved, and with a redefined purpose and strategy, we are on a new journey to co-create a growing movement of conscious business for the greater good. Merging in 2016, Conscious Capitalism Australia & New Zealand brings together a community of business and thought leaders who all share this belief: that business has the power to elevate humanity. We are a passionate and diverse bunch — from the visionary CEO, the proud small business owner to the discerning university student — all keen to drive conscious change. Check out upcoming events and meet our members. Together, as a community of practice driven by members, for members, we are building a thriving ecosystem of conscious businesses and practitioners that benefits from powerful peer-to-peer learning, business opportunities with values-aligned people, and inspire and lead other businesses to see the tangible and measurable benefits of conscious business practices. CCANZ Members share knowledge and learn together, support each other as peers, and enjoy connections and opportunities to build a flourishing conscious businesses. They also enjoy member discounts and offers to support them on their journey. Become a Early Adopter Member today! 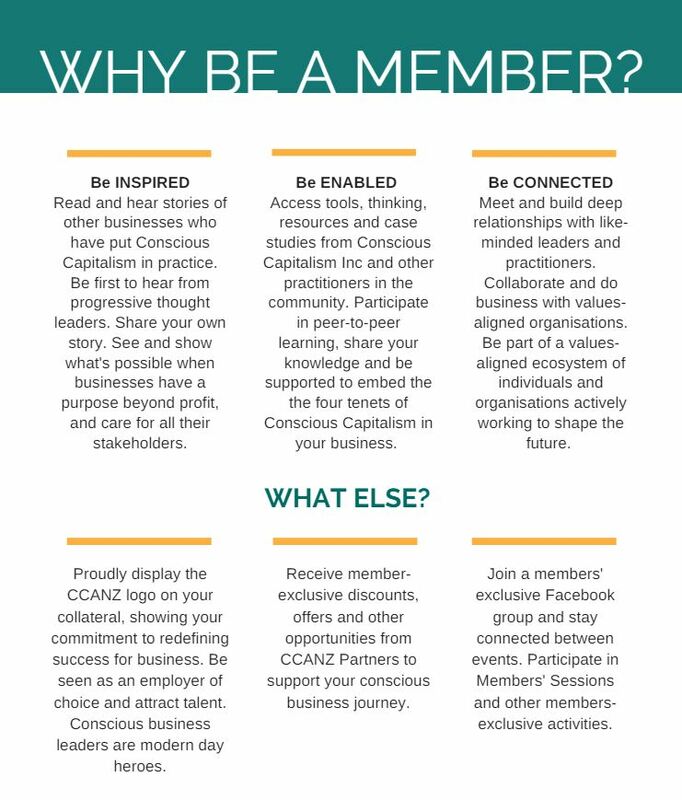 Together, with CCANZ as the catalyst, we’ll enable members unlock the ‘how’ behind conscious business practices. CCANZ is a community driven by members, for members. 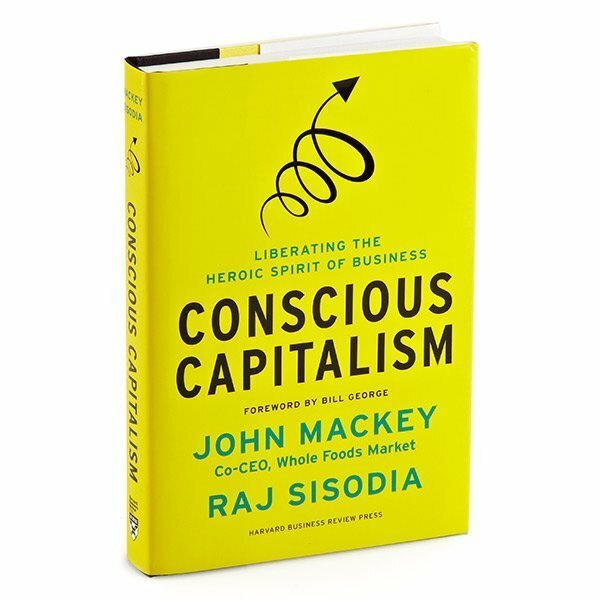 At once a bold defense and re-imagining of capitalism and a blueprint for a new system for doing business, Conscious Capitalism is for anyone hoping to build a more cooperative, humane, and positive future.